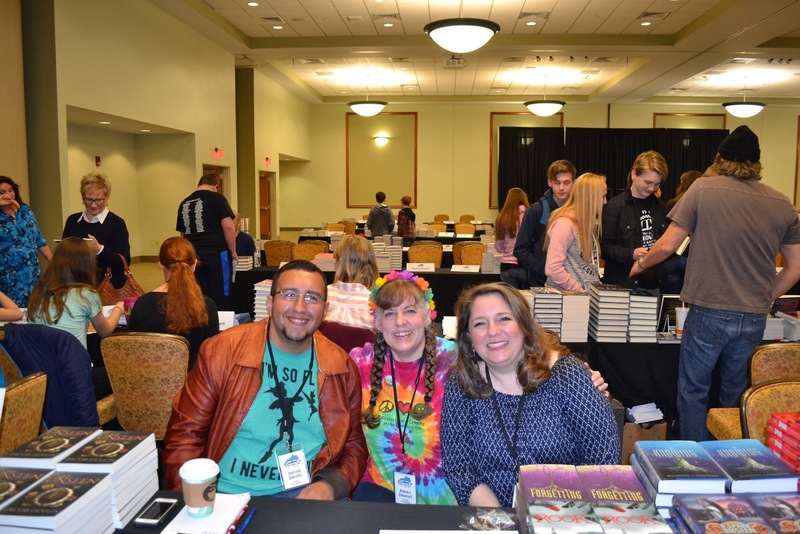 So it's been a week since I attended and participated in the Southern Kentucky Book Festival, and the glamour is slowly fading as I get back into the swing of scooping cat boxes, cleaning bathrooms, and washing dishes. But the one thing that doesn't fade are the new friendships and great books I discover each year. 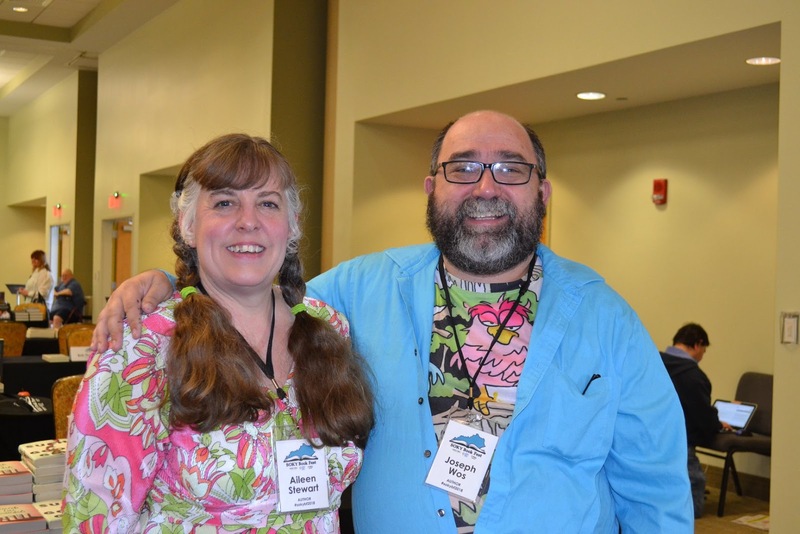 One of the first authors I met, Bridgid Kemmerer, happened to be riding the hotel elevator at the same time as me. 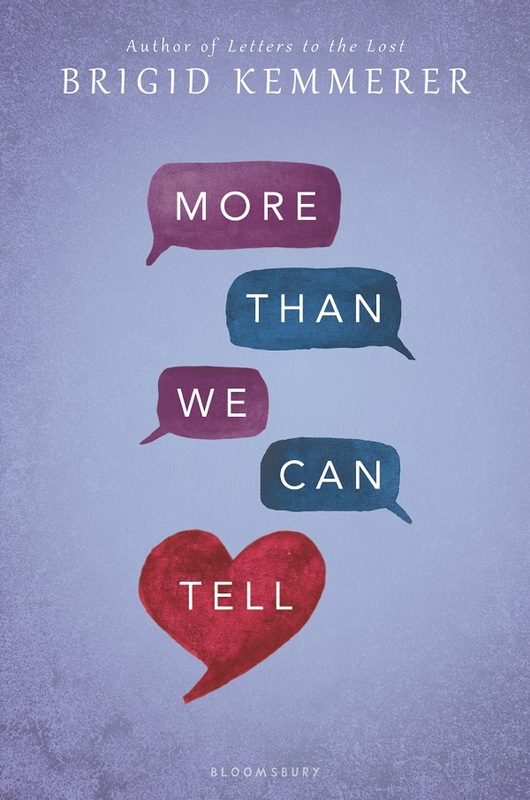 Bridgid is a YA author with a new book out called More Than We Can Tell which is the tale of two people with past secrets that threaten to crush them. 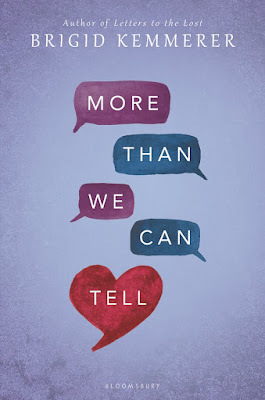 I don't usually read YA because of time constraints, but if I did, I would definitely add this book to my list of to reads. The next new friend I made happened to be Robin Newman whom I knew from FB but not in person. When I arrived in the lobby hotel, she stood chatting with my friends Debbie Dadey and Tracey Barret. Robin is the author of a series about a pair of mice detectives that solve food mysteries. As you all know, I love mysteries, I love food, and I love food preparation, so it stands to reason that I would love an author who incorporates food into her books. My table mate, Peggy Goodman, happened to be a Bowling Green resident who wrote a book about a lady with a pie truck called Peg The Pie Lady. 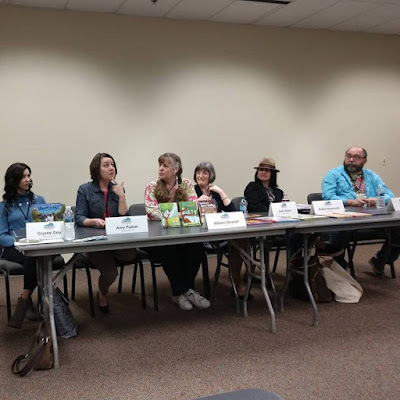 There were my panel mates, Holly Niner children's author, Joe Wos cartoonist and maze creator, Crystal Day Nahsville Country singer and children's author, and Amy Parker Christian children's author. I also met YA authors Jacob Devlin, Sharon Cameron, and Cat Jordan. Cat flew in all the way from California and I'm so very glad she did. On the last day of the book fest we had a good chat about all things literary and how fellow authors and illustrators for the most part are extremely nice and quite supportive of each other. 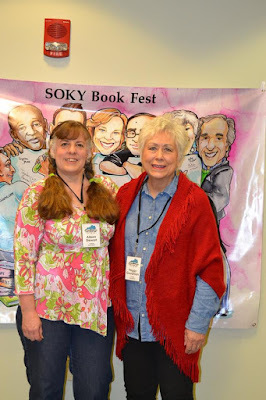 There were many others as well, so be sure to browse the Southern Kentucky Book Festival Author Line Up Page and check them all out! Sarah Volpi and her awesome volunteer staff, it is a place of unimaginable fun. 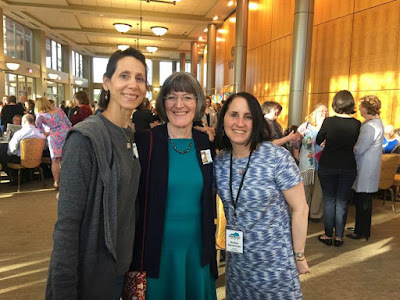 A place where I catch up with literary friends, make new friends, engage with readers, and convince friends and random strangers to take lots of photos for me____lots! This year I posed with some of my kidlit besties like Mark Wayne Adams author, illustrator, and owner of a paper bow tie. Be sure to click on the link above and check out his long list of fabulous work. 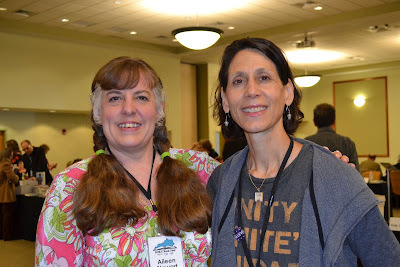 And Debbie Dadey who reveled with delight along side me when we met the oh so famous and oh so nice Loren Long. Debbie, who I aspire to be like, with her hundreds of Bailey School Kid and Mermaid Tail books. 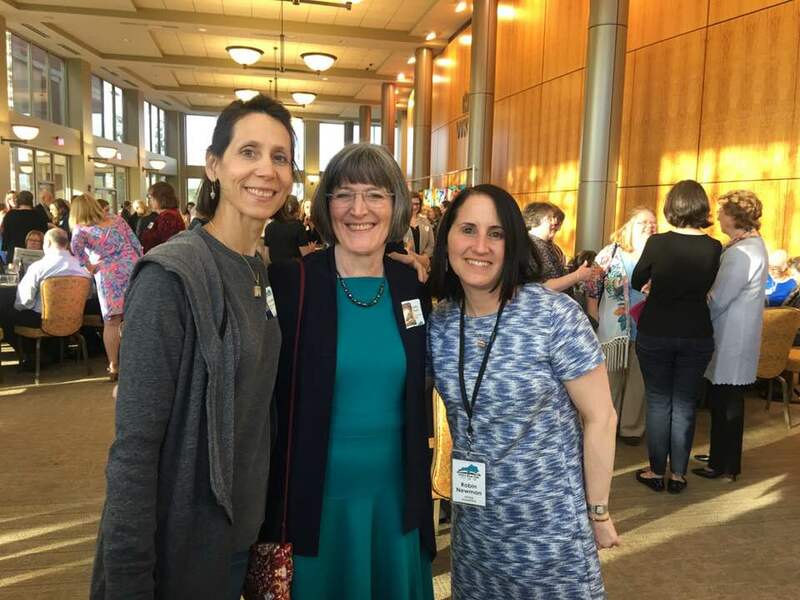 And of course no visit would be complete without advice from my girl MG author Gail Nall, a hug from my girl MG author Kristin O'Donnell Tubb, and a smile from my girl children's author JessicaYoung. You can't even imagine how much laughing goes on when I hang with these fabulous ladies and gents. I just wished laughing burned more calories, lol. 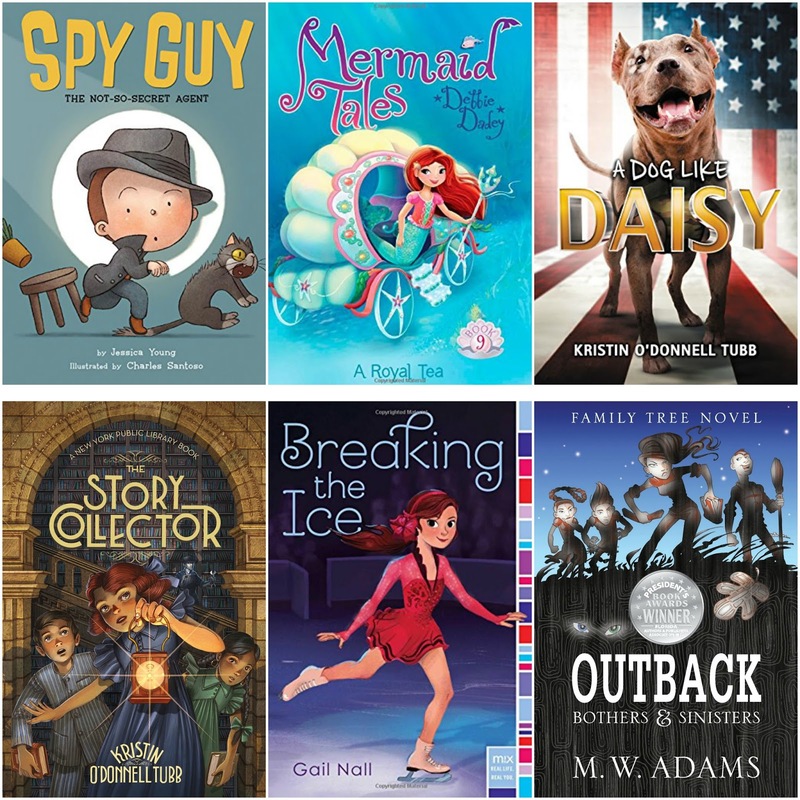 If you've ever been to a book fair you know the plethora of books can be overwhelming, so I encourage you to check out the links I've provided and browse these authors wonderful books at your leisure. Well, that about wraps it up for this week. Join me next week for SOKY part two, same crazy time, same crazy channel. 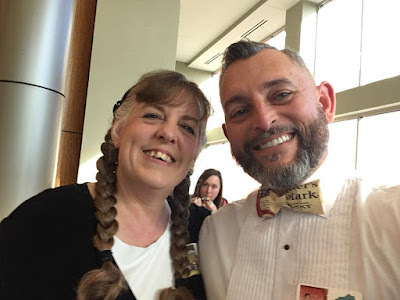 Also be sure to drop by Literacy Musings Mondays for more great blogs as well as my personal website Fun With Aileen where you will find more on reading, writing, and my very own chapter and picture books. And finally, you can find me on twitter if you want an extremely brief glimpse into my days. 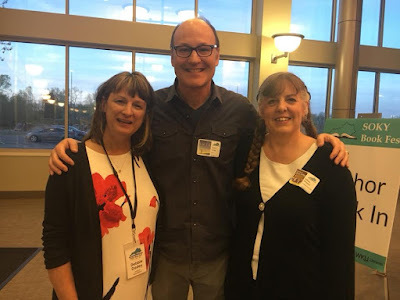 April just seems to be flying by and this past week once again found Emily and me attending the monthly meeting of Cook Book Club at our library. Each month we have a theme and April's theme was sandwiches. I made tuna salad sandwiches and Emily made peanut butter and jelly cookie sandwiches. If you love peanut butter, then your taste buds will surely be tickled by this marvelous concoction. Preheat oven to 350. In mixer, cream butter and sugar until fluffy. Add Peanut butter and mix thoroughly. Add egg and vanilla. Lastly, add dry ingredients and stir until well mixed. Divide dough into forty pieces and roll into balls. Dip tops in sugar and place on a baking sheet with a silicone mat. Flatten slightly with a fork using a criss-cross pattern. Bake for ten minutes. Remove from oven and lt cool about five minutes before removing to a cooling rack. This past week also found me reading a fantastic book titled Hello Light House. I enjoyed this book immensely for so many reasons. The illustrations are detailed, quite beautiful, and help tell the story; so pay careful attention to them when you explore this book on your own. 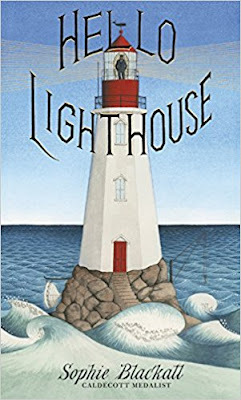 The story tells of both the life of a light house and the life of a light house keeper. The end papers are a wonderful addition with both pictures and facts about light houses. Even the back cover is of interest depicting the inside view of a lighthouse from top to bottom. A fantastic looking glass into history, Hello Light House is sure to please even the pickiest of readers. I don't know what's happening in your neck of the woods weather wise, but here in Ohio it's been a roller coaster of wackiness. We started the week only to have April Fools surprise us with the temperature dropping to below below freezing and snow. Day two offered rain by the bucketfuls. Day three was so windy the rain dried up everything but a puddle where there is a dip in my front yard. Day four it snowed some more and the lone remaining puddle froze creating an ice rink just the right size for chipmunks had they been inclined to skate. Day five gave us a reprieve from snow, but boy was it cold. Day six arrived overcast and cold, but not as cold as the day before. And finally day seven we had bright sunshine which gave the illusion that the cold had subsided. Illusion I say because it was still colder than snot. It was on day six of this crazy week that I took my car in for an oil change. 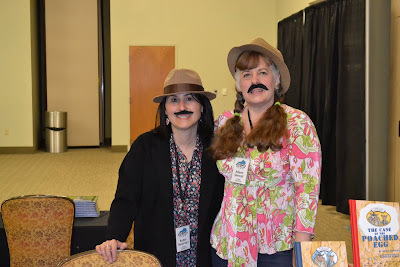 I thought this would be a good idea as we are getting ready to travel to the Southern Kentucky Book Festival in a week and a half. Needless to say, that day didn't go as planned. I decided to wait at our local repair shop while they changed the oil, but as the hour drew to a close, the technician informed me that I needed my tires rotated and I needed new brakes. I felt like April Fools Day had returned when my bill shot from $40 to nearly $400. At least our trip will occur in a well maintained car this year. So finding two beautiful books in my to review stack sort of perked up my cold, expensive week. 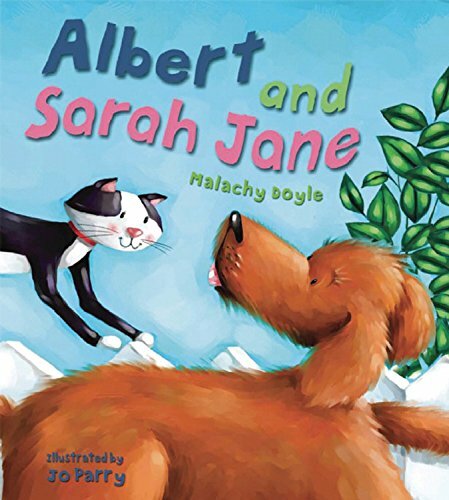 The first book, Albert and Sarah Jane, tells the tale of best friends who love to cuddle by the fire in a warm, doggy, kitty, snuggle, lump. The only thing Albert loves more than snuggling with Sarah Jane is eating kibble. Unfortunately after gobbling up all of his, he can't control his temptation to nibble on Sarah Jane's as well. This leads to a squabble and Sarah Jane moves out. Albert misses Sarah Jane tremendously and begs her to come. 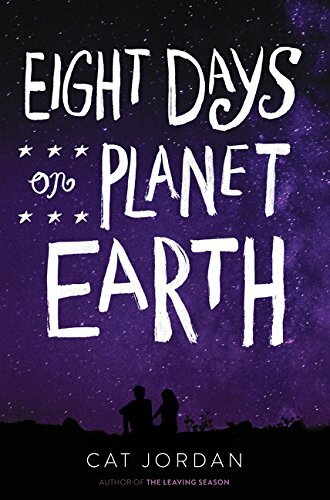 How they manage to resolve their squabble is definitely something you and your littles will want to read and find out for yourselves. 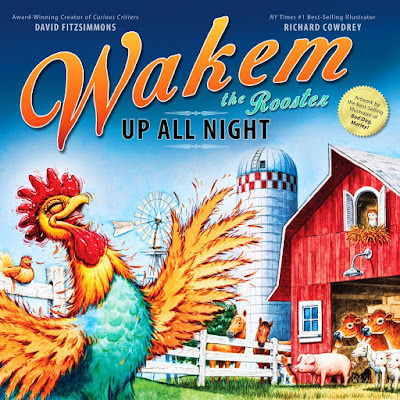 The second book, Wakem the Rooster Up All Night, has the barnyard in a tizzy when Wakem the Rooster allows the compliments about his voice to go to his head. Wakem sings all day and into the night and ends up with a backward sleeping schedule. Awake at night and asleep during the day, Wakem causes the sheep to run away in an attempt to find a quiet place to sleep. Will Wakem find the sheep and will he be able to rectify the problem? Be sure to grab a copy of your own and find out! This past week we celebrated Easter and my youngest nephew's birthday. His birthday is significant because my father passed away three days before he was born, and this is how I keep track of how long he's been gone. In addition, during our time of sorrow those six years ago, my nephew's birth gave us a reason to rejoice and to this day he continues to bring great joy to our family! The first book I read for my review brought me joy as well. When I saw it on the shelf at my library, a little tingle went up my spine as I immediately recognized it as a book by my friend and fellow Ohioan, Lisa Amstutz. Lisa's book, Applesauce Day, tells the tale of a family and a special pot. A pot that has been used through the generations to make applesauce. A simple, ordinary pot signifying family ties, stories, love, and traditions. A pot passed from Great Grandmother to Grandmother to Daughter. A pot that causes a little girl to dream of the day it will be passed on to her. 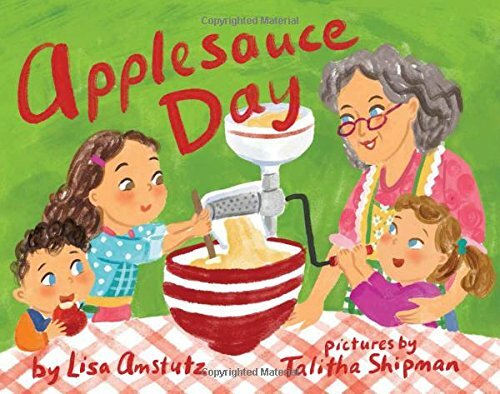 Besides a wonderful story that both children and adults will enjoy, Lisa gives added value by including her family's recipe for applesauce and some interesting apple facts. So if you've never tried home made applesauce and have a love of stories that encourage family togetherness, run out and grab a copy for yourselves. The second book I read, made me laugh. I laughed not because the pages contained humor, but because it rang true. 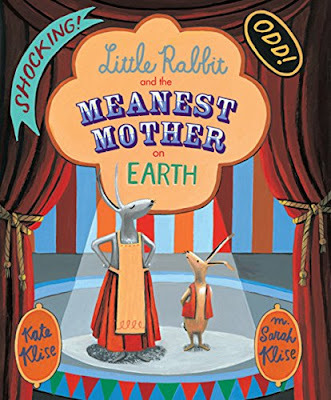 In Little Rabbit and the Meanest Mother on Earth, a small rabbit wants to go to the circus, but his mother tells him he can't go until he cleans his playroom. Grumbling and complaining the entire time, Little Rabbit manages to make more of a mess instead of tidying up and loses his chance to attend. 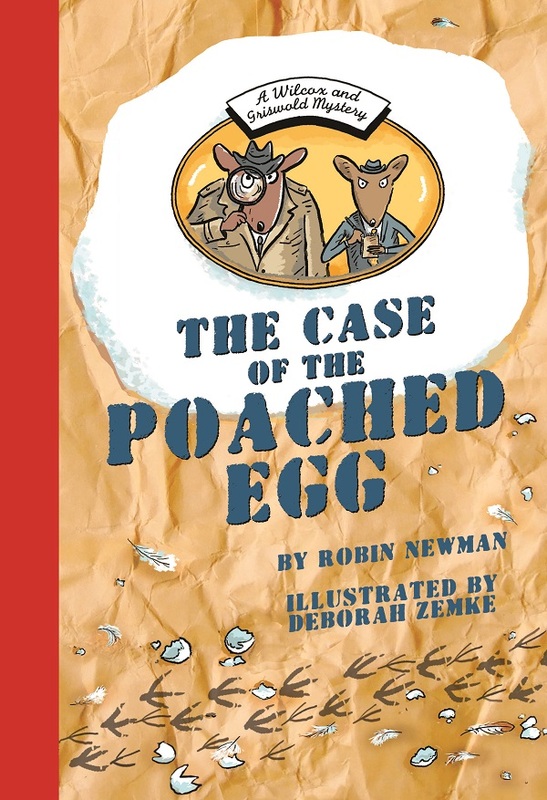 He decides to sneak out and only to find that the Ringmaster will not let him join the circus unless he has a talent causing Little Rabbit to declare that he has the Meanest Mother on Earth. The Ringmaster tells him if he can sell 100 tickets he can bring his mother and join the circus. Several exaggerations later he has sold his tickets and conned his mother into coming. Needless to say the crowd are not wowed by the ordinary, non mean looking mother. How the story ends is quite heartwarming, but I don't want to give too much away, so just grab a copy from your nearest book store or library.